Plan for your dream vacation, literally, using the Vacation Planner template is a way for you to neatly organize the events of your vacation so you have the perfect step-by-step itinerary for your travel destination. Whether you’re going to Disneyland or just another state for your business trip, you can use this free document to plan the ultimate guide for your specific travel plans. If you save time on a business trip, then you have more to yourself, likewise, if you want to get the most out of your vacation, then having everything planned out ahead of time will allow you to get everything you wanted out of your time away. Learn how to use this amazing document by reading the steps below. 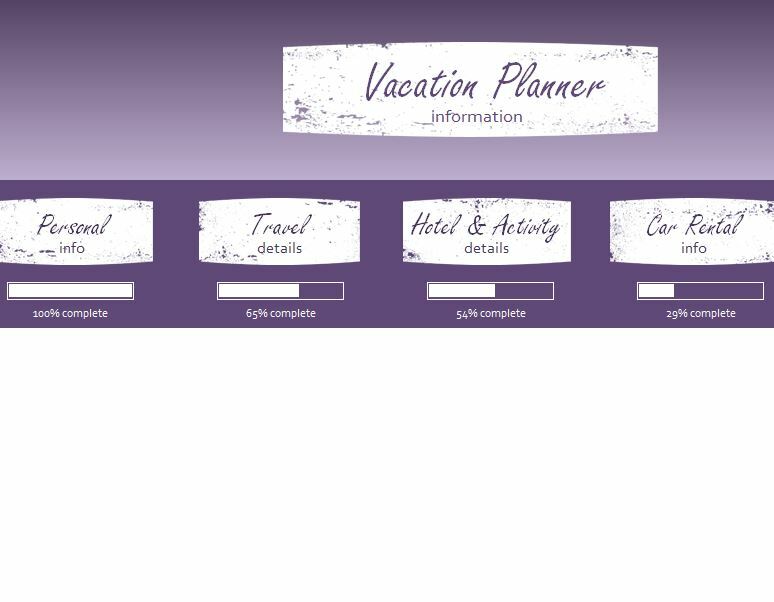 To download the free Vacation Planner to your computer, simply click the link we have provided for you at the bottom of this page. The Vacation Planner will break down your travel expenses into different categories. Each of these categories will get their own tab at the bottom of your screen. Start in the “Personal Details” tab to enter important contact information for friends and family. You will include things like your insurance information and phone numbers. The “Travel Details” page is where you will list items such as flight arrival and departure times and any other travel information you need to list. The “Hotel and Activities” is more or less the same. You will list your hotel information and any activities you would like to do while you are away. The “Car Rental” tab is a similar way to write down your car rental details, such as cost and insurance info as well. The final “Emergency Details” is where you can list any emergency contact information in case you sustain any injuries while traveling. This page will contain all the details you need to know to get things sorted quickly. The Vacation Planner has all the right tools to help you with anything you need for safe and efficient traveling.